This is by far one of the best restaurants to have a vegetarian thali in Mumbai. They also have an extensive a la carte. 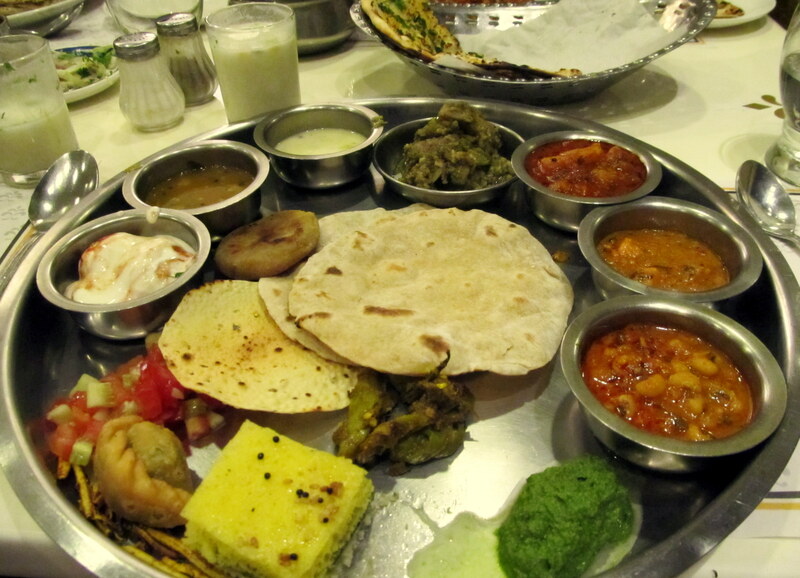 Samrat has a huge following for both – the thali and a la carte. I went there last night for dinner. A meal for 4 costed us Rs. 1401, which included a 6% service charge. 2 of us ordered a thali. It includes buttermilk, 3 snacks ( we got dhokla, samosa and ghoogra), salad, phulka, puranpoli, puri, papad, 3 vegetables (we got rawa, aloo rasa and paneer makhanwala), oondhiya, dal, kadhi and dahi wada. 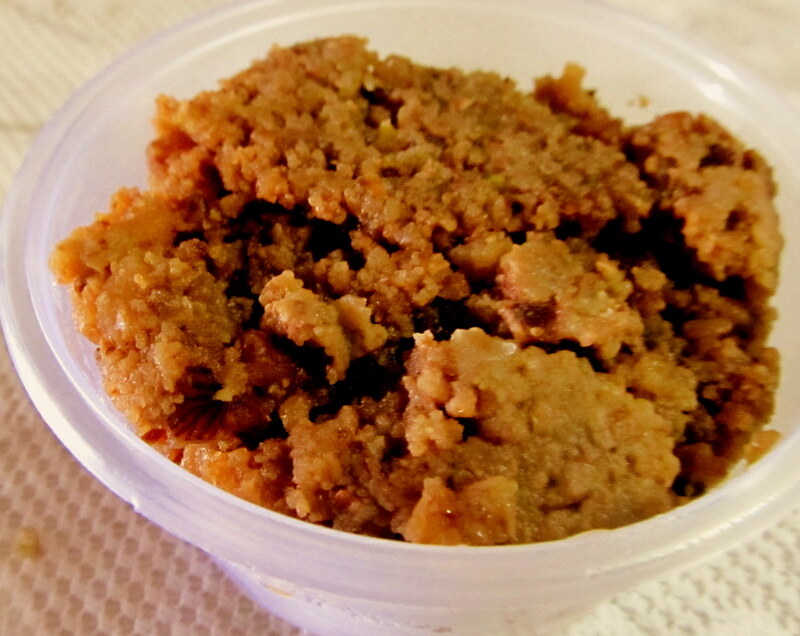 Then we could choose from steamed rice, pulao or khichdi – i chose khichdi. All this is unlimited. As desserts, we could choose any two from options of gulab jamun, rasgulla, walnut halwa and shirkhand (which is limited). I elected for gulab jamun and walnut halwa. The thali is for Rs. 355 for a Sunday dinner. Had a great dinner. Totally stuffed. A la carte order was a Vegetable Makhanwala with a Chili Garlic Naan and a Stuffed Paratha. 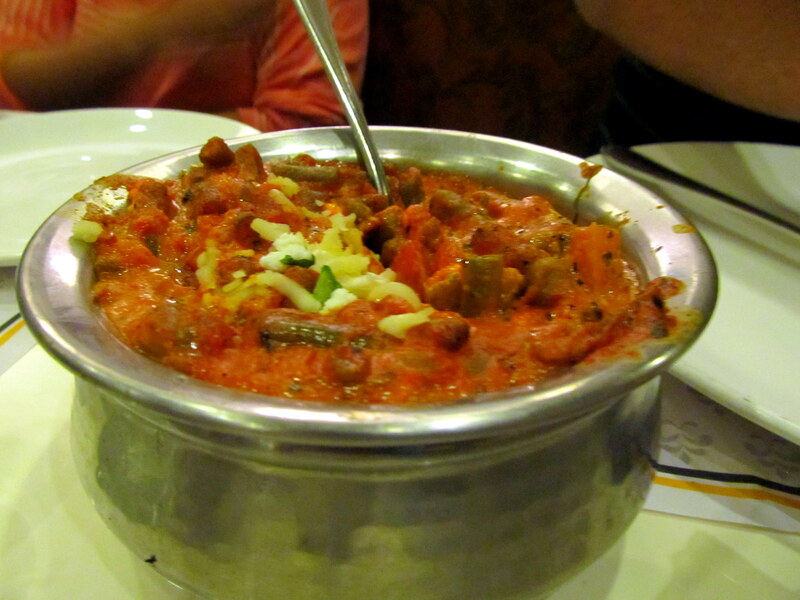 The Vegetable Makhanwala was excellent. At Rs. 260 it easily served 2. 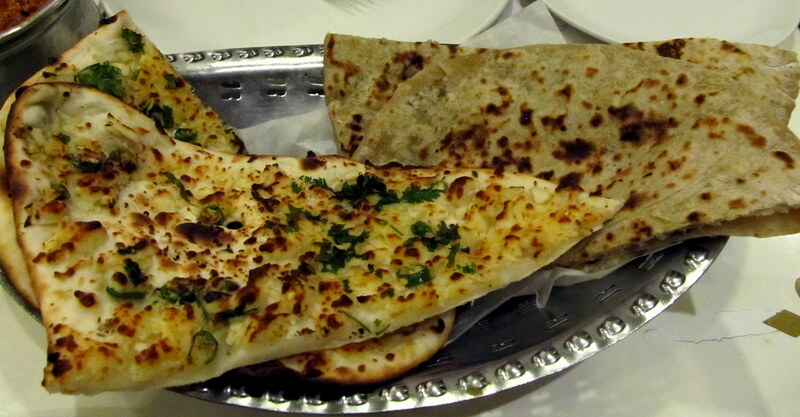 The Chili Garlic Naan was perfect, as was the Stuffed Paratha (it was an aloo paratha). Naan for Rs. 95 and Paratha for Rs. 75. 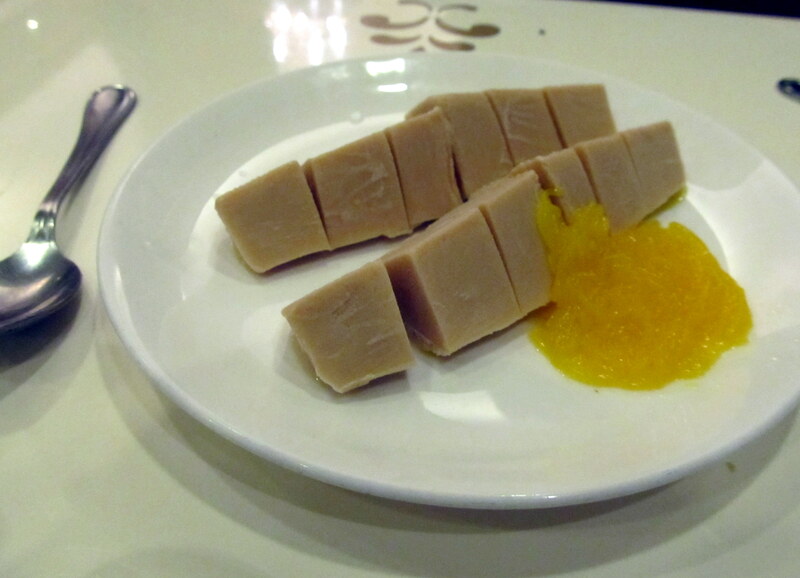 My 2 companions completed their meal by ordering a Malai Kulfi. Price at Rs. 110 it was exceptional. I would say its a must to order this anytime one goes there. 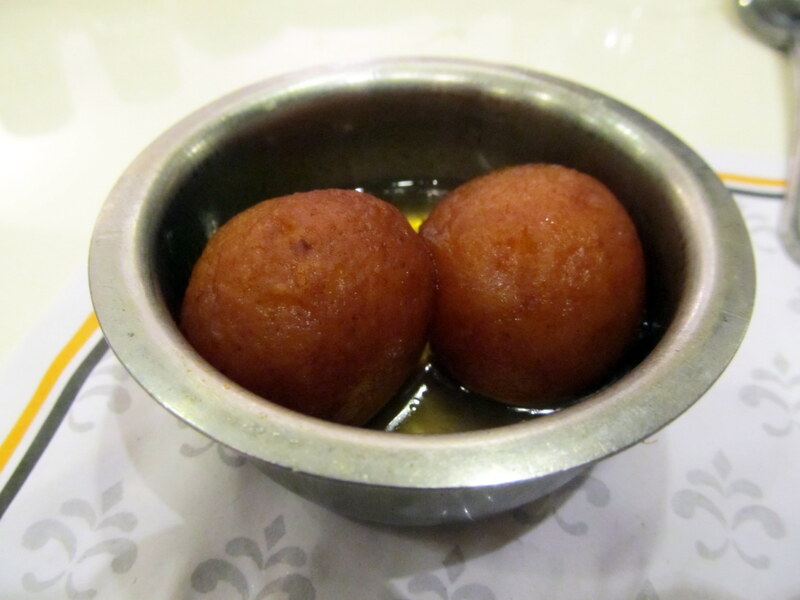 This entry was posted in Restaurant Review and tagged Gulab jamun, Naan, Paratha, Roti, Thali. Bookmark the permalink. Thanks will tell my Aunt to go here.